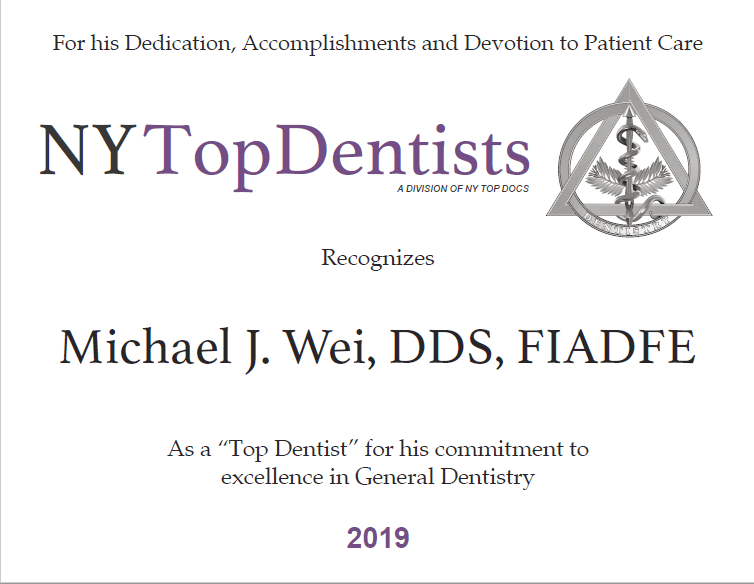 Dr. Wei is an excellent dentist who loves his craft and truly cares about his patients. I first met Dr. Wei a few months ago when I went in for a consultation to talk about getting veneers. I was deeply unhappy with my smile, my biggest issue being my two front teeth, which were seriously misshapen. Dr. Wei was super easy to talk to, answered all of my questions clearly, and after an informative discussion I decided to get 8 veneers put on my top teeth. Dr. Wei has a great office with polite, helpful staff where everything runs on time, which is important to someone like me who has a busy work schedule. 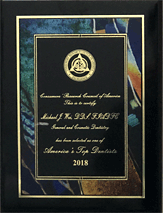 He got every procedure done smoothly and painlessly like the experienced professional he is, and within few short weeks I had a brilliant, brand new smile. I must say: Dr. Wei is not only a dentist but an artist! The design of the veneers is beautiful, and really compliments all of my facial features—I wouldn’t change a thing. He clearly has a great eye for aesthetics and proportion, and is highly detail-oriented. I’d actually put off getting veneers for a long time because I thought it’d be an onerous, expensive, time-consuming, and, frankly, even scary. But Dr. Wei and his staff made the process so easy that I kicked myself for not having it done years ago! Dr. Wei’s office is equipped with state-of-the-line technology and his professionalism and bedside manner is impeccable. I trusted him completely and he always put me at ease. For anyone who is considering getting veneers or any other cosmetic dentistry work, I PROMISE you that going to Dr. Wei is worth the investment! Dr. Wei truly changed my life. For many years, I was constantly embarassed about my teeth; now I go through every day smiling constantly without a care in the world. I can not describe fully how good it feels to finally have that burden lifted off my shoulders. Thank you SO much Dr. Wei. His smile makeovers are amazing. “For the last 3 years, I have been really picky in choosing a cosmetic dentist to do my Porcelain Veneers. When I met Dr. Wei, I finally made a decision to do my 16 veneers with him. Dr. Wei not only has high knowledge and confidence in his work, but he is also trustworthy. You will know he is not a doctor who is after your money but he really cares about his patients and has passion for his job. Dr. Wei explains to you what dental procedure you need and will guide you down the right path so that you won’t regret things later. That tells me how much he cares and is honest to his patients. I started doing 16 veneers with him and now I am going for 2 more and 6 more later. That’s basically the entire mouth because I trust him! I love his workmanship and he is a perfectionist. I absolutely recommend Dr. Wei to anyone and everyone including my family and friends and for those who want to do just simple dental work to Porcelain Veneers. I feel like a rock-star! I cannot say enough about how great this experience was for me. I had considered getting porcelain veneers for many years. I finally made the decision to do so and started my internet search trying to find a cosmetic dentist in NYC. After reading all of the great reviews about Dr. Wei on numerous sites, I called and made an appointment for a consultation. I was nervous only because I kept thinking what happens if I don’t like the way I end up looking; what if the color isn’t right, etc. From start to finish, I cannot say enough about how great this experience was for me. Dr. Wei was extremely thorough and professional in terms of the way he went about explaining the process. In addition, he solicited my opinion to make sure that both he and I were on the same page every step of the way.